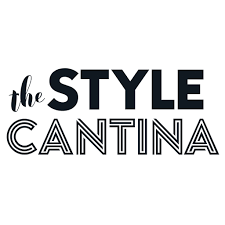 Use the Style Cantina coupons and save money! We are fun, fashion lovers that want to inspire and empower our audience with unique pieces designed to make you feel special. If you love colour, luxe and unique, then you will love The Style Cantina. After after alot of research and speaking to a lot of real women, we knew there was a real opportunity in the market for something like this, and that we were onto something. We are passionate about bringing style and colour together and we wanted to create a place where women could come and be inspired to put colour into their everyday lives – but not spend a fortune doing it! We truly believe that style is for women of all ages. Style is about feeling good about yourself, at any age, any shape and any size, and always having a bit of fun and courage with it. Colour looks great on any woman and we will show you how. As we put this business together, our tribes told us that they love fashion but don’t always have the tools or ‘know-how’ to bring it all together. So The Style Cantina will create and curate looks for you.